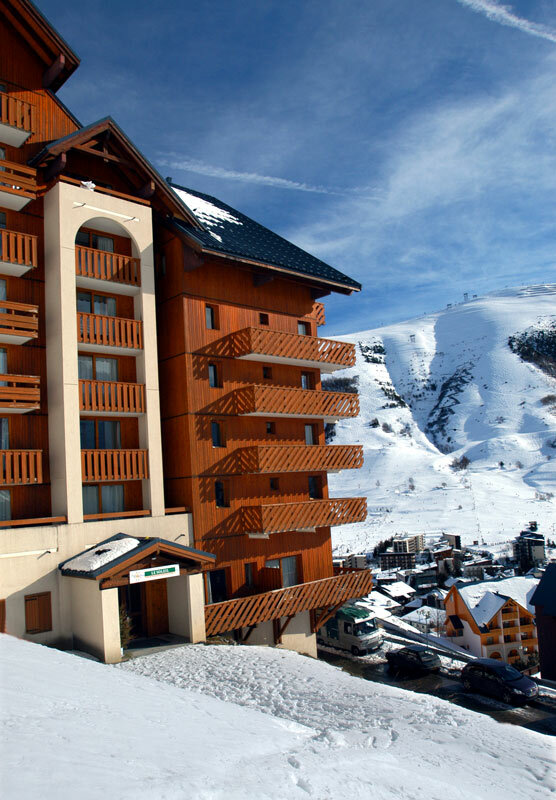 A resort with so much going for it and a price tag that pleasantly surprises, Les Deux Alpes is a fantastic choice for something a bit different. The resort sits at 1600m and has lifts going up to 3600m where you can find the largest skiable glacier in Europe, making it pretty snowsure! 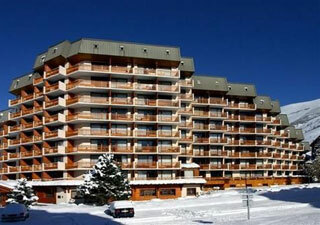 It boasts around 50 modern and fast lifts servicing over 220km of groomed pistes. Though 220km of runs will keep you more than busy for the week, it’s not the pisted runs that it is famous for, but the world renowned snow parks and the off piste. 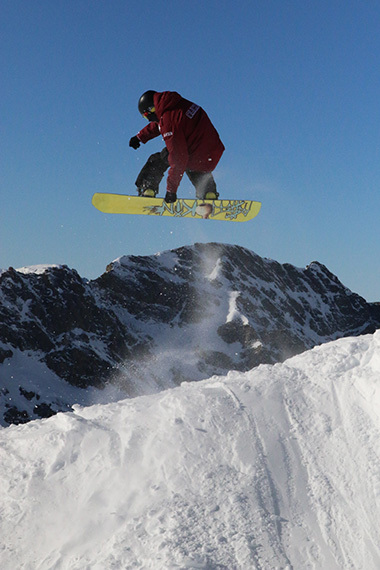 Les Deux Alpes boasts arguably the biggest and best park in the Alps, a reason enough for many groups to choose the resort. The famous off piste of ‘La Grave’ and other fantastic areas within the ski area offer some of the best powder days going. We strongly suggest getting a guide for an afternoon to really make the most of this magical off piste haven. 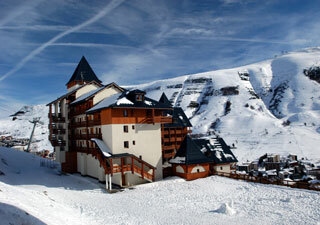 You can also enjoy a full day in Alpe d’Huez free of charge as this is included with your lift pass. 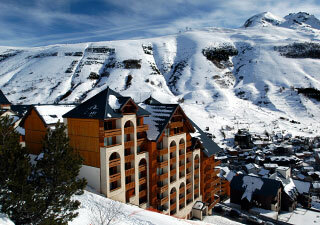 When it comes to après, Les Deux Alpes is up there with the big ones. At the ‘Pano Bar’ up the mountain, with their 3-5pm happy hour every day, you will hear many people saying “Folie what?” Down in resort Umbrella is another favourite that can open its roof on bluebird days and also hosts terrace parties. Tex Mex speciality meals in Smokey Joe’s and Smithy’s provide you with all the mountain meal-style banter, without the effort of skiing down afterwards. 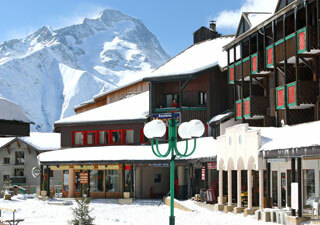 Live bands in Smithy’s and foam parties in Maya’s are a must for any week in Les Deux Alpes. Close to Maya's, this tiny bar is the perfect get away for those looking for a quiet drink, a decent pint of Guinness or somewhere where you can hold a proper conversation! Run by lovely guys, Red Frog is great for sitting in the sun and people-watching. Located in the centre of town and by the main Gondola, the Mexican themed Smokeys is not only the perfect meeting point for après, but it also does some of the best food in the entire Alps. Great live music has a nasty habit of turning a quick demi into several hours of singing at the top of your voices without even trying! Another huge bar, it will fit groups of any size, and the friendly staff and buzzing atmosphere will ensure that no one goes home early from a night at Smokeys. The Bar 360/Folie Douce of Les Deux Alps, this party mountain bar does a scarily good job of keeping you up the mountain as late as possible. With a happy hour 3-5pm every day, always great tunes and a big two-tiered terrace, the only thing you need to worry about is the ski down! Sat right next door to Smithys, just try and walk past without going in! 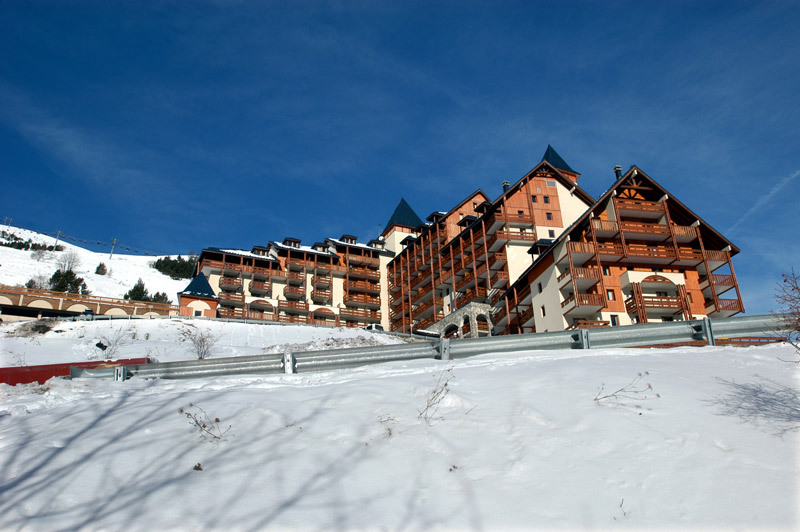 Those that have been to Les Deux Alps before will have extremely fond memories of this place. Dancing on stage is compulsory, but remembering what time in the morning you left is optional and often extremely difficult! Run by a real character called Boris, you are guarranteed to see him drinking endless demis and wearing some pretty funky glasses - say hello! A new favourite in Deux Alpes, Bresilien is open late as a bar or club and offers fantastic drinks discounts for all NUCO groups. This gives the resort a viable second option next to Avalanche and adds to what is an awesome range of venues in the resort. 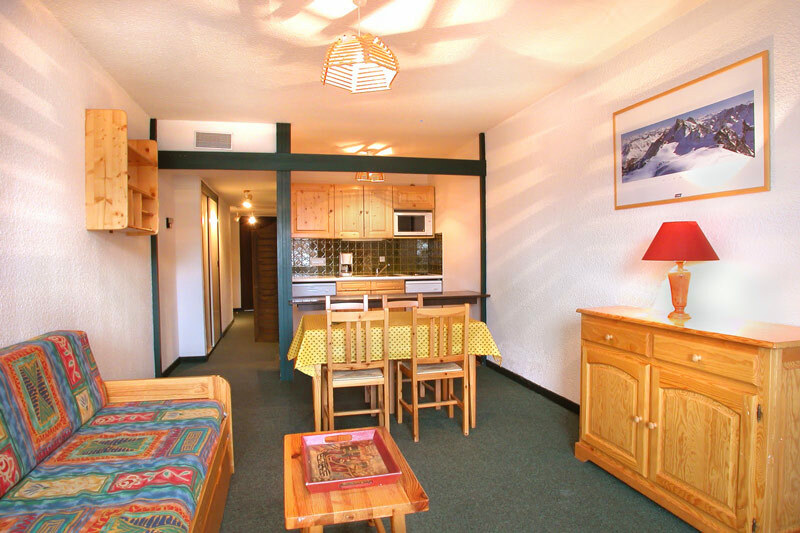 This supplier owns apartments in the newly-established 1800 sector of the resort, the apartments are very well priced and are often popular for large groups. There is a drawback in that 2 Alpes 1800 is slightly out of the main town and therefore it takes longer to access to the village each night. 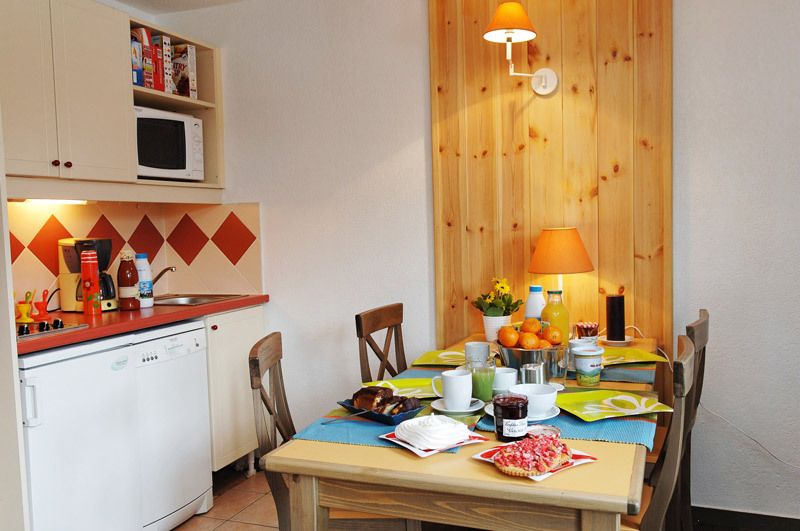 Rooms are mainly 4, 5 & 6 person, bed linen and towels are not provided. 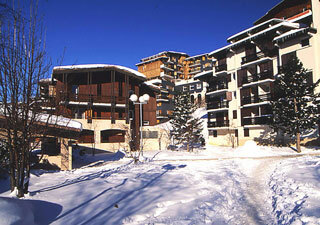 This accommodation is contracted through the central accommodation agency directly in Les Deux Alps and among others includes the residences Meijotel, Plein Sud, Vallee Blanche, Cabourg and Cote Brun, all of which are within very close proximity to each other and also the most centrally located in terms of access to the Jandri lift, the village facilities and popular bars such as Smokey Joes. Rooms are 4, 6 & 8 person, bed linen and towels are not provided. This is located next door to the Flocon d’Or and is essentially another block of the same construction. 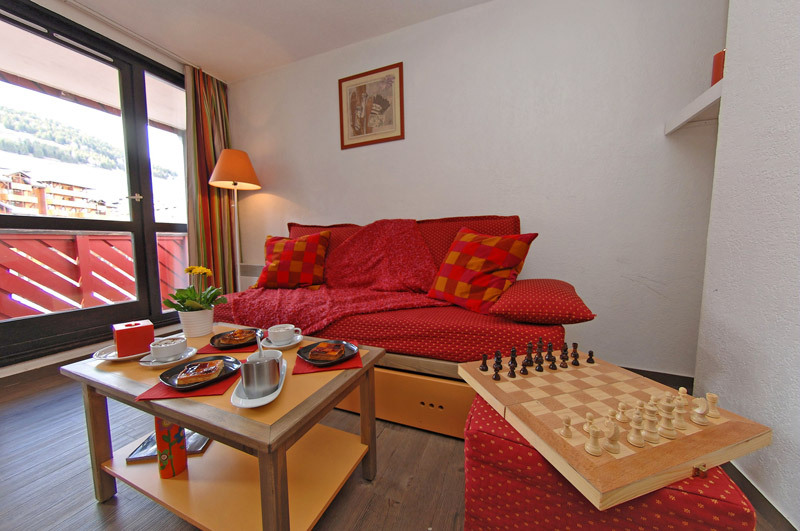 It offers the same benefits as its neighbour, both of which are approximately a 600m walk from the town centre. Rooms are 4, 5, 6, 7 & 8 person, bed linen and towels are not provided. Situated right at the foot of the mountain shadowing the resort, the views down the valley from this residence are breath taking. 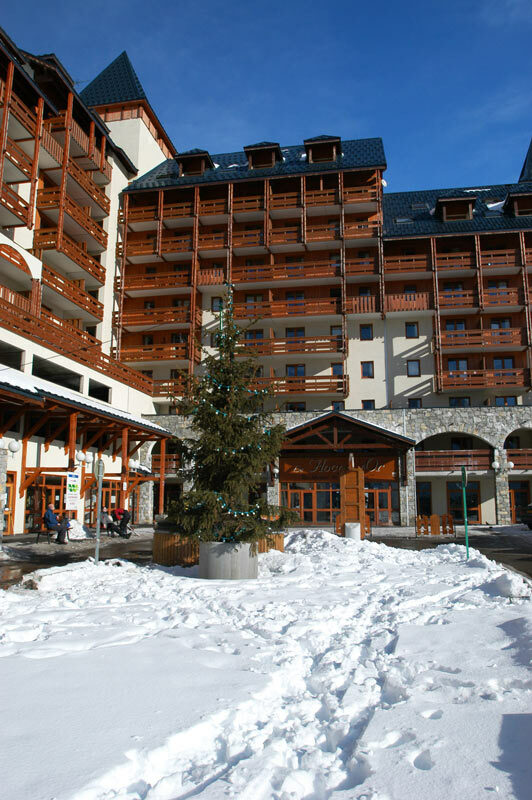 It conveniently sits next to the ‘Super Venosc’ blue piste granting residents easy access to the Pied Moutet sector of the ski area. 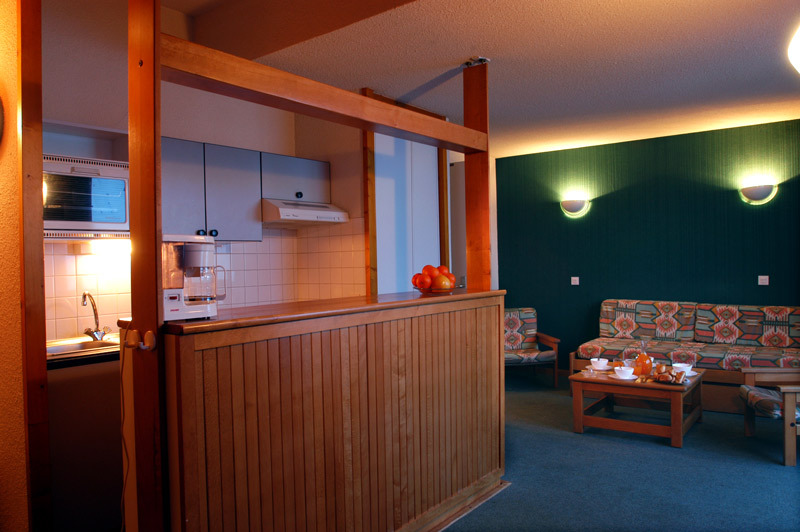 Rooms are mainly 4, 5 & 6 person, bed linen and towels are not provided. 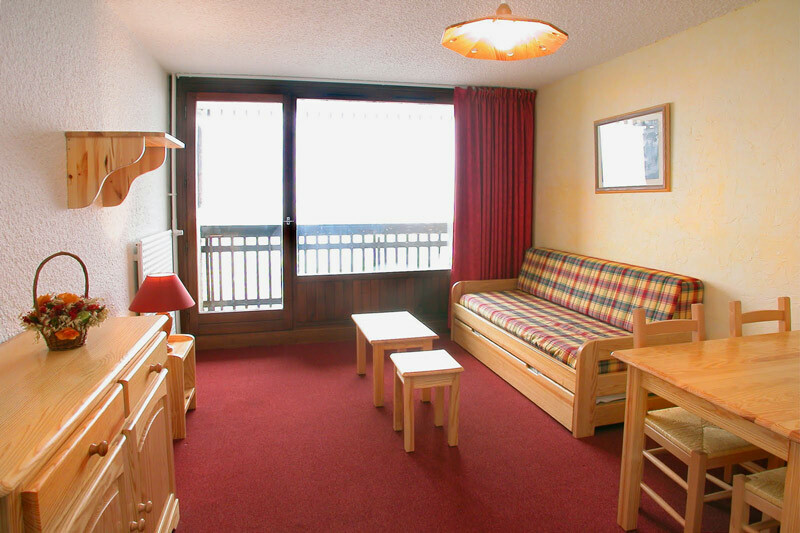 Located in the heart of Les Deux Alps, with close proximity to the ‘red eggs’ ski lift and all the village facilities, the Muzelle is a superb place to be based for the week. The residence is also close to some of the more popular bars such as Smithys. 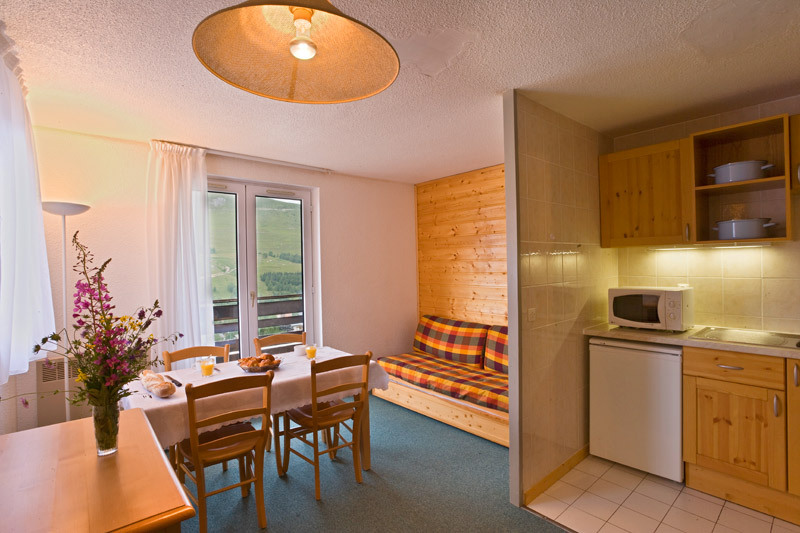 Rooms are 4 & 5 persons, bed linen is provided but towels are not.